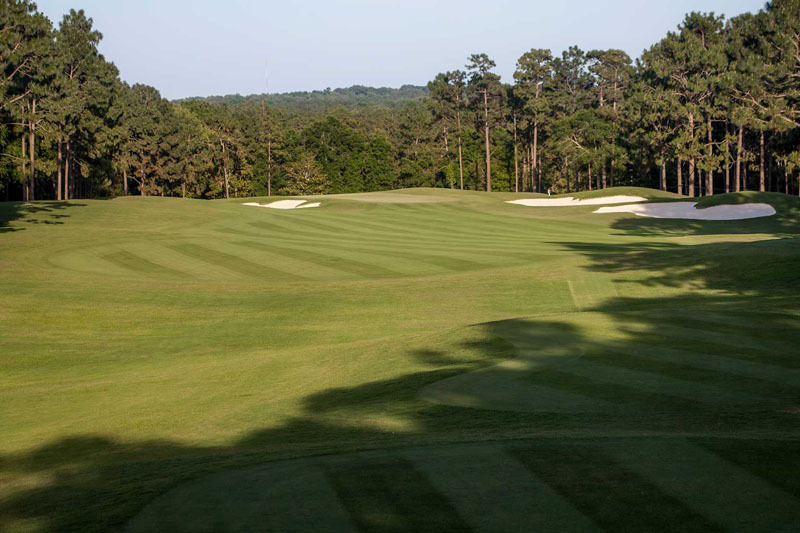 The Crossings Course is a shotmaker's layout that winds through hilly terrain, natural wetlands and along generous fairways lined by dense oaks and pines. The course gets its name from the old railroad tracks at the site left during design and construction. The course plays mostly uphill and downhill over the front nine dotted with small water hazards. The teeth of the course is the back nine where more water hazards, marsh areas and sloping greens will challenge golfers of all skill levels.